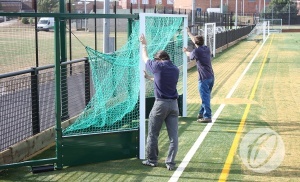 Fence Folding Hockey Goal - 2.1m to 2.5m Proj. 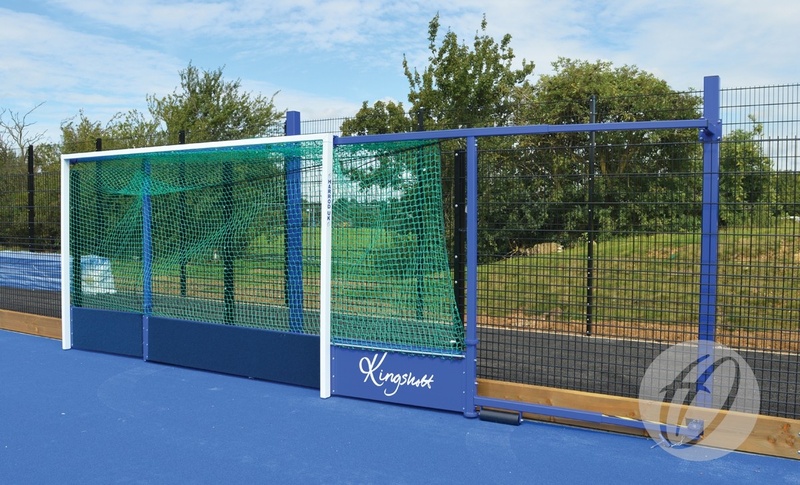 Designed and ideally suited for synthetic surfaces, for cross court play and small sided games. Not recommended for official matchplay. Unique pivot joints allow the goal to fold back safely and easily against surround fence without detaching the backboard. 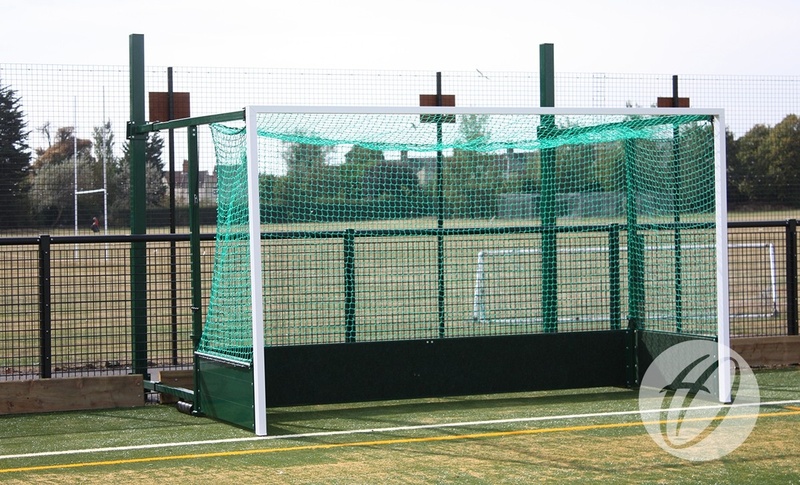 Uprights and crossbars have a 7mm thick reinforced front wall to prevent hockey ball damage. 2.1m to 2.5m telescopic side supports allow for exact projection. 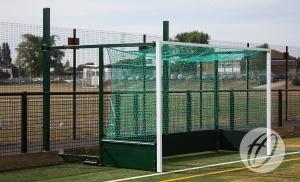 Goal locks in place when extended for play and when fully folded. 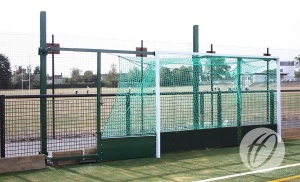 Uprights & Crossbars made from 75mm x 50mm reinforced aluminium. Anchor posts made from 100mm x 100mm zinc plated steel. Back supports and top backbar manufactured from 32mm diameter aluminium. 460mm high reinforced aluminium backboard panels with green noise reducing carpet on all inside faces. 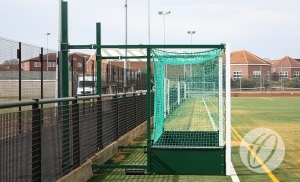 Polyester powder coated white, excluding backboards and support posts which are green. Please note: sockets are not included, the support posts are complete with a welded plate. 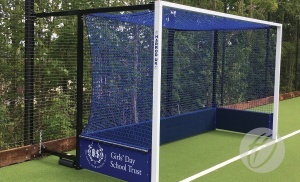 Fence Folding Hockey Goal - 2.5m to 3.3m Proj. 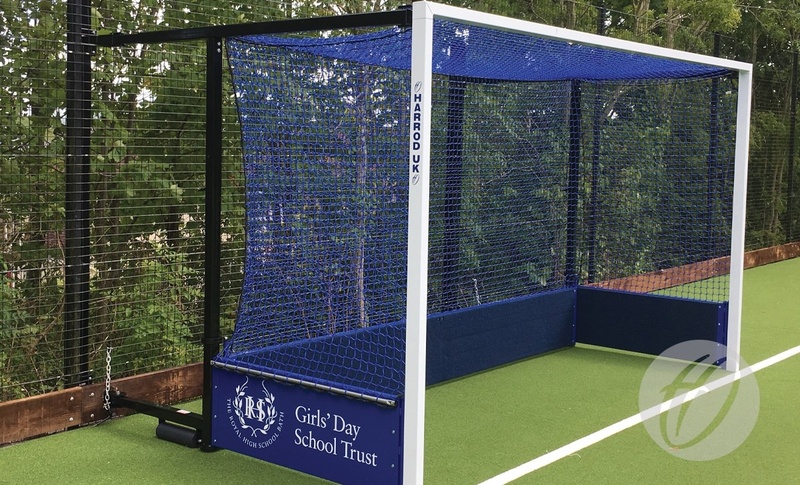 Fence Folding Hockey Goal - 3.3m to 4.8m Proj. HOC-130 Fence Folding Hockey Goal - 2.1m to 2.5m Proj. HOC-131 Fence Folding Hockey Goal - 2.5m to 3.3m Proj. 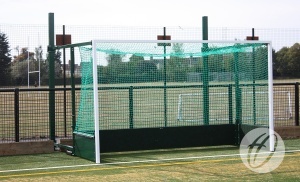 HOC-132 Fence Folding Hockey Goal - 3.3m to 4.8m Proj. Q: How far from the fence does the goal project when folded? 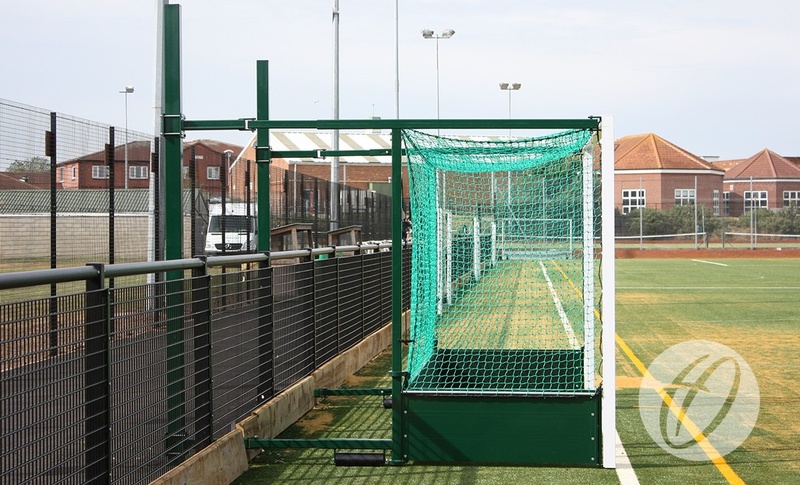 A: The goal projects 194mm from the fence when folded.